The Australian Conservation Foundation’s latest Do Gooder campaign is going great gunns (bad pun intended!) as it calls on the Australian Prime Minister and Tasmanian Premier to honour their commitment to protect 430,000 hectares of pristine Tasmanian forest. 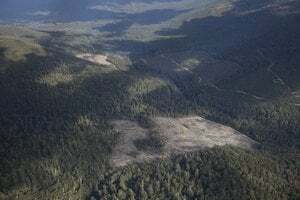 The problem is that it’ll be another 6 months before the laws are passed and Forestry Tasmania is fast tracking logging in these areas as the photo above shows. Tell Enviro Minister Tony Burke to stop logging what you promised to protect!